Happy Friday! Once again, I’m behind on Fitness Friday posts. 3. 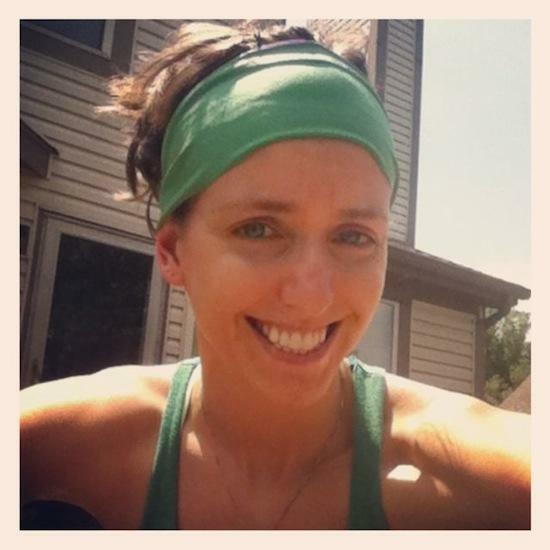 One of my fav benchmark workouts: Improved my reps from 244 in January to 278 in 3 rounds! 1. 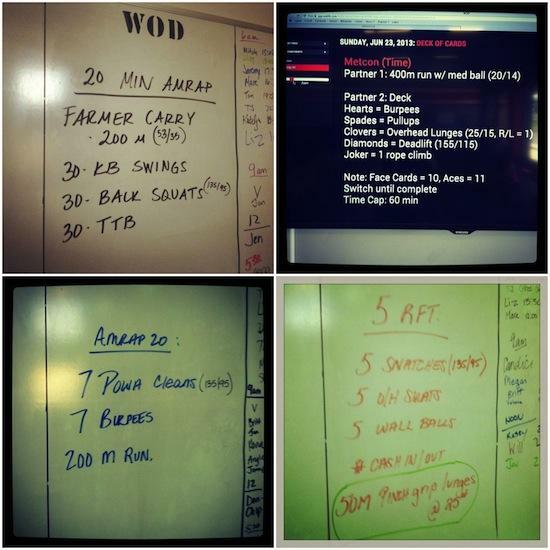 Partner wod for hubby’s last workout before surgery. 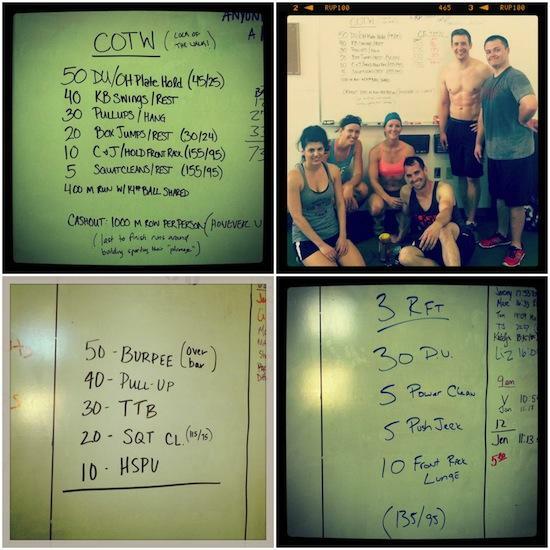 Our time was 20:06 for the #wod and 7:42 for the 2000m partner row. 3. Holy sweatfest!!! Got a 120# clean and jerk PR (previous was 95# and i was SO close to 125#!!) and I cleaned 125# (5# more than my previous 1RM) at least 10 times! 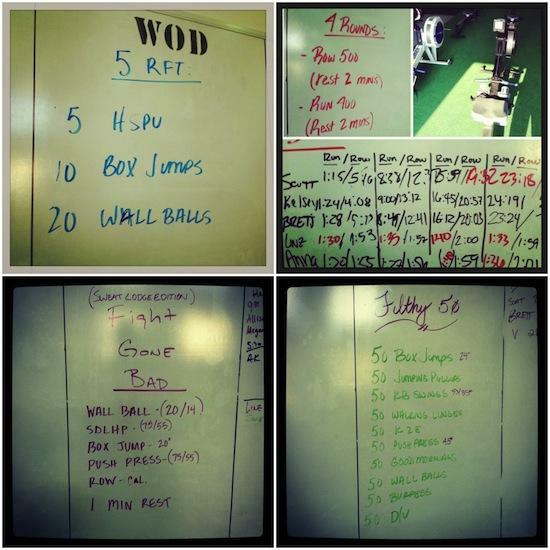 THEN did the #wod! 9 rounds + 8- killed it! 1. 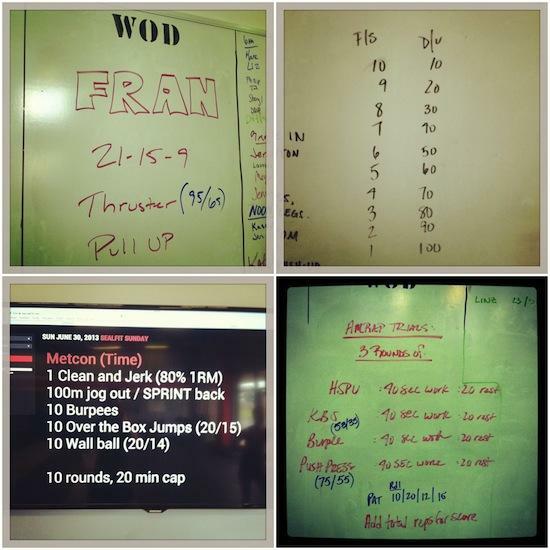 Every crossfitter loves to hate fran. Crushed my previous record and got a new #fran PR baby! 6:17!!!! Previous was 8:53. So proud of myself! 2. Front squats and double unders at open gym. 105# front squats. 24:15. Not a good one to do on your own. Went slowwwww but got it done! Today I can’t wait to get back to the box and get back at it! Now those are some workouts! I’m just doing a lot of running with some lifting in between. I need to get into Crossfit! I love the 20 minute+ workouts!!! I think today’s will be long, so I’m looking forward to it. i’m working on my endurance so trying to do some longer ones! killin’ it as always, girl! Your workouts always look brutal!!! You are amazing!! Great workouts! I usually can’t do the treadmill, but those look pretty interesting! I’ve never done cross fit (still trying to determine if it’s for me). I must say, I do like how these workouts create a good mix of resistance and cardio. Not as one-sided as some of the Xfit workouts I’ve come across and actually very similar to what I’ve been doing at my bootcamp! Nice! yeah! that’s what i like about it! What another great week of workouts! 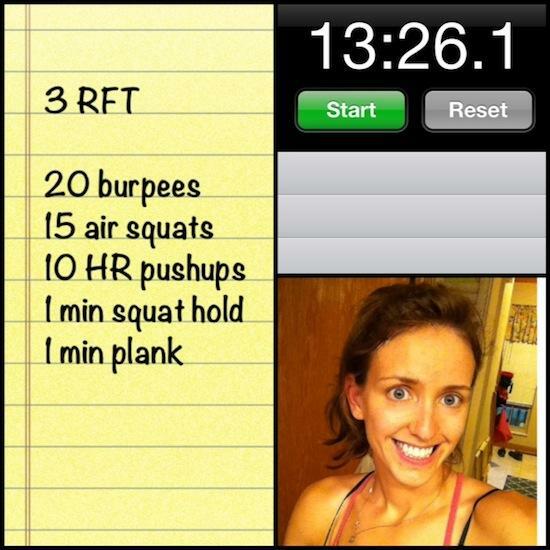 So very intense but great, you are making me curious to give Crossfit a go! Wow — great job on Fran!! I haven’t tried that one yet, but I suspect it’s not going to be pretty!!! don’t get discouraged. The first time I did it it took me almost 13 minutes. Since then i’ve cut my time in half! !